Daylight Saving Time ends Sunday, November 4, at 2:00 a.m. That means we will turn our clocks back one hour - and gain an hour of sleep! 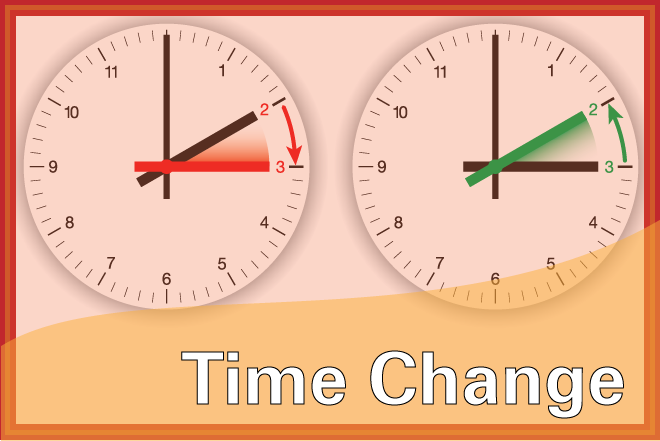 The semi-annual time change is also a great opportunity for valuable preparedness steps focused on checking your emergency preparedness supplies or stocks. Check that you have what you need. Replenish supplies that are out of date or missing. Finally, replace the batteries for all of your home's smoke alarmsand carbon monoxide detectors. If you smoke alarm is 10 or more years old, it's time to replace it. Take these steps now before the holiday rush sets in and they slip your mind - your family's safety may depend upon it!